Watch the final stages again! 28 1688 (Mon.) Neptune of Ilfracombe brought 9 tons of timber from Barmouth. 27 1970 (Fri.) Shops open for the first time on Good Friday. 27 1929 (Wed.) Cardigan WI formed. 25 1949 (Fri.) Tudor House Café and Restaurant opened, 21 High St (site Morgans the butcher). Mrs E M Cross. 25 1873 (Tues.) Meeting was held to form Independent Order of Good Templars (temperance movement). 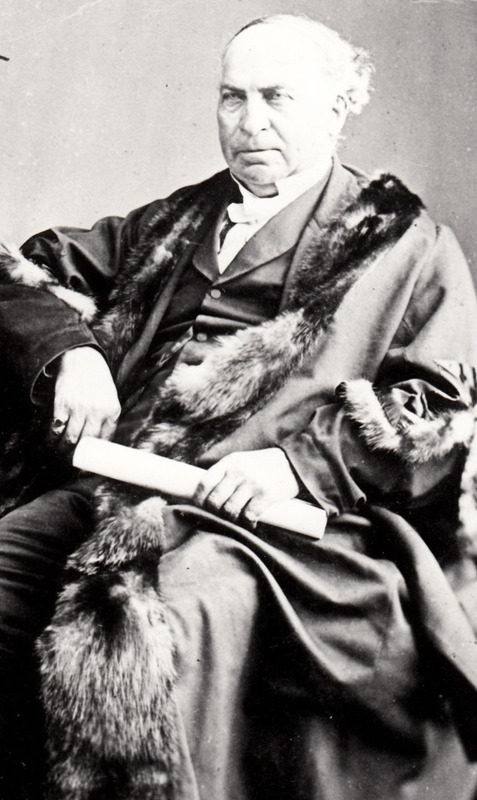 D M Palmer, headmaster in the chair. 24 1892 (Iau) Death of Mrs Mary James, College Row, 75 years old. 23 1970 (Mon.) Eirwen Cleaners moves to 45 Pendre. 23 1945 (Fri.)Ft Sergeant Ivor Radley home after 4 years in Middle East, North Africa and Italy. 22 1878 (Fri.) E. Ceredig Evans opened his shop as chemist and druggist. 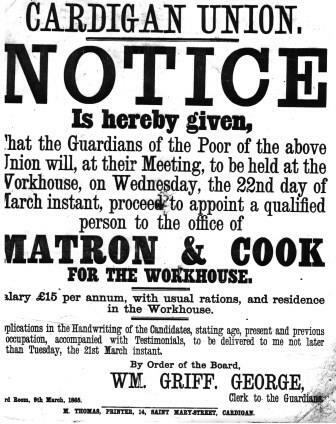 22 1865 (Wed.) Advert for Matron and Cook for the Workhouse.